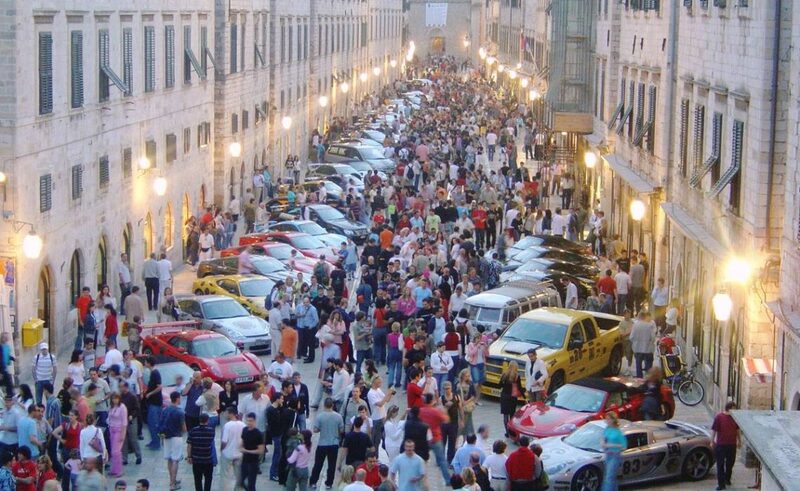 GUMBALL 3000 Superstars and Supercars in Dubrovnik! Gumball 3000 will be held from 1st to 7th July following the route from Riga to Mykonos, passing through Dubrovnik as well! Afrojack, Maximillion Cooper, CeeLo Green, Eve, Jason Fox, Jillionaire (Major Lazer), Ken Griffey Jr, DJ Ruckus will visit our town, and the full route is Riga, Vilnius, Warsaw, Budapest, Zagreb, Dubrovnik, Porto Montenegro, Tirana, Athens, and Mykonos. The 19th annual Gumball 3000 Rally takes place from 1-7 July 2017 with 150 supercars (and two Harley Davidson’s) driving from Riga (Latvia) on the northern Baltic coast to the Greek island of Mykonos in the Aegean Sea. Hosted by Gumball 3000 founder, Maximillion Cooper, drivers represent Gumball’s regular mix of celebrities, entrepreneurs, influencers, royalty and rockstars – including DJ superstar AFROJACK, MAJOR LAZOR’S JILLIONAIRE, “Who’s that Girl” Grammy winner EVE, Gnarls Barkley “Crazy” megastar CEE LO GREEN, Major League Baseball Hall of Famer KEN GRIFFEY JR and Channel 4’s SAS “Who Dares Wins’ host JASON FOX – as they navigate 3000 miles through 11 countries from Riga to Mykonos in just 6 days! The spectacular cavalcade of over 150 classic, wacky and futuristic hypercars sets off from Riga (Latvia) on Sunday 2nd July embarking on an incredible journey through Vilnius (Lithuania), Warsaw (Poland), Budapest (Hungary), Dubrovnik (Croatia), Tirana (Albania) and Athens (Greece) before crossing the finish line in Mykonos on Friday July 7th. Celebrations continue in Mykonos through Saturday July 8th as Gumball 3000 hosts a public festival of supercars and live entertainment! In partnership with Christie’s Auctioneers (Kerring Group), Laureus Sport for Good, the Tony Hawk Foundation and the Sir Simon Milton Foundation, the Gumball 3000 Foundation raises money throughout the event to support multiple youth based projects to improve education, infrastructure and recreation in low income communities around the world. Follow the road trip live throughout the week on @gumba113000 media channels. Do You Know How Many Tourists Visited Us This Year?